The classic Stetson Open Road made in high quality 4X beaver fur felt features a 2 3/4″ brim worn turned-up all the way around. 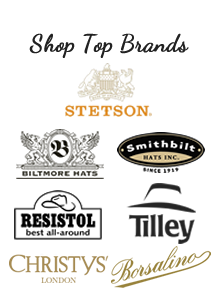 This luxurious cowboy hat is finished with a 4″ cattleman crown center cut with a grosgrain ribbon bound edge brim with a slight roll and trimmed with a grosgrain hat band. There is a leather interior sweatband and Stetson branded satin lining.